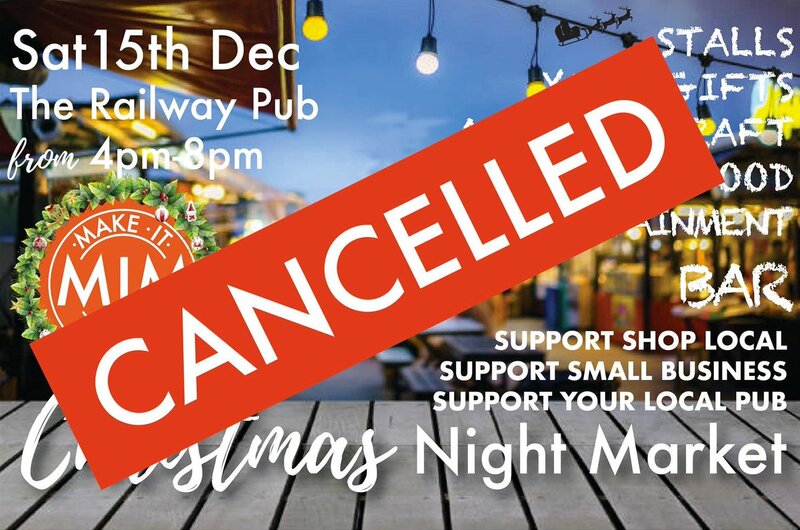 Have just heard that tomorrow's Christmas Night Market has been cancelled due to the severe weather warnings for Saturday and Sunday. This is now confirmed. 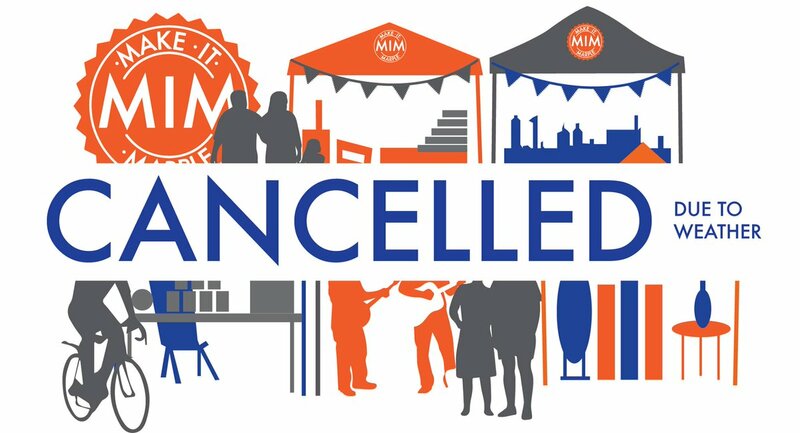 Sad news for the organisers who have worked so hard but we look forward to more great Maker's Markets in 2019! 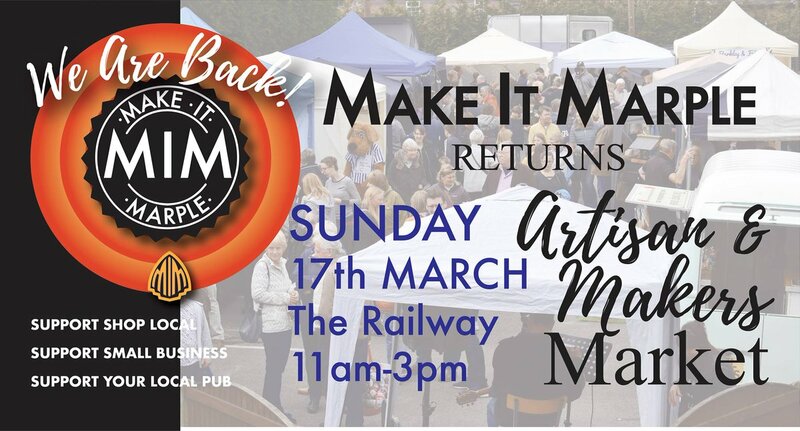 Hopefully this sunshine will stay out for the Makers' Market at the Railway tomorrow! It's Maker's Market Day today! Promises to be the biggest and best yet! 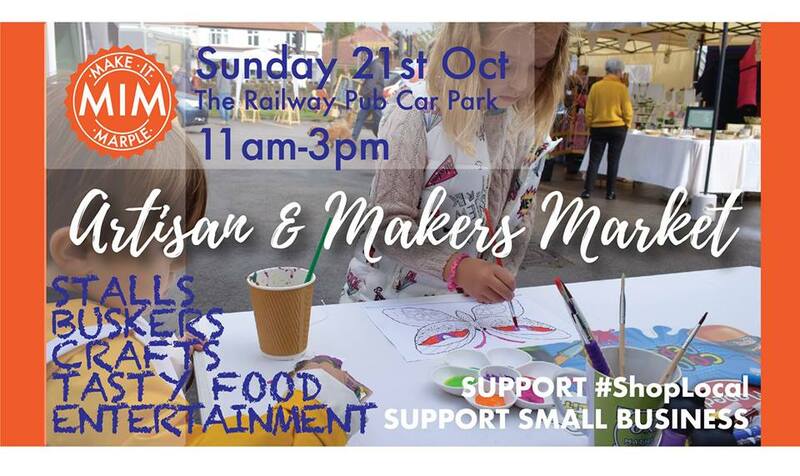 Don't forget that it's the next Makers' Market at the Railway on Sunday. I understand they've got loads more stalls this time. Spotted myself in the photo below, were you there too for the launch last month? It was a really good event and I hope that this grows and is successful in the future. Is there any opportunity for Marple to have a ‘foodie’ Friday! Like Romiley? I hope they have plans to ease the massive traffic problems they created last month. 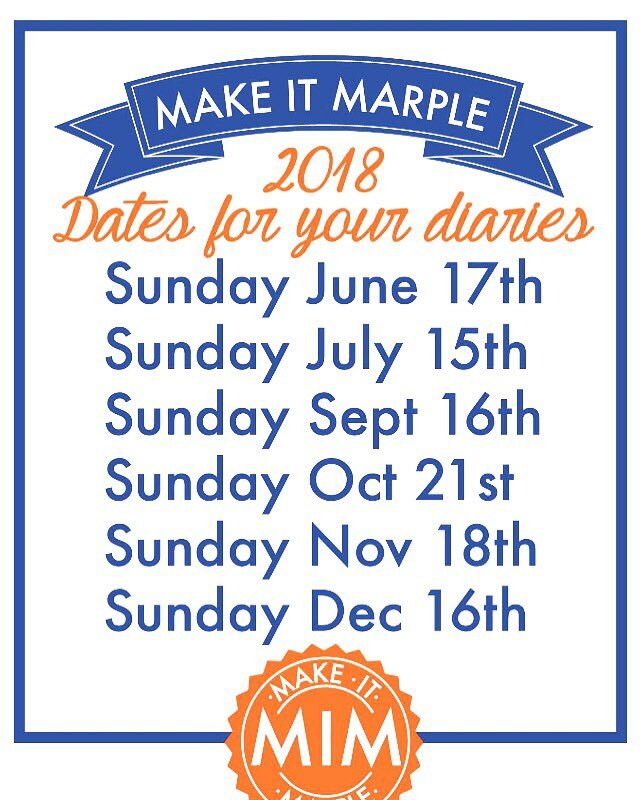 After having to cancel last month, it's nearly time again for what's looking like the biggest new event in Marple for many years! If it's still snowing in April at least I can ski over to the market! Good luck on the 15th April, I'm sure it will be a successful event like it would have been today. 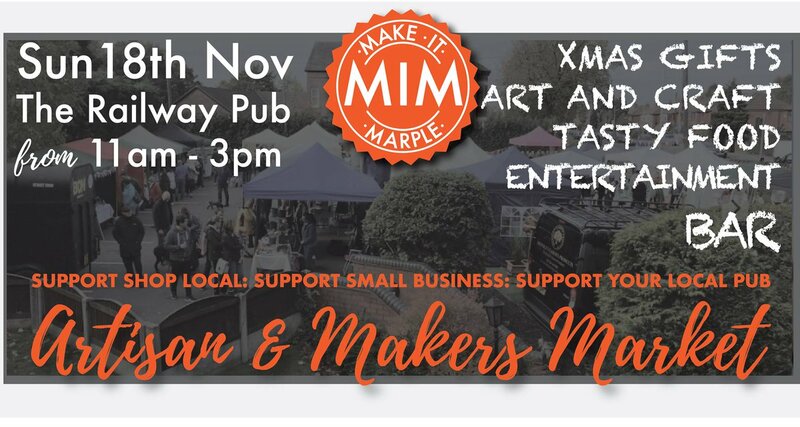 Unfortunately the adverse weather conditions have caused today's first Make It Marple Makers Market to be cancelled. Commiserations to the organisers, who have put in a huge amount of work to get ready for the launch of what promises to be a brilliant new event. The date for your diaries now is Sunday 15th April - surely the weather will be better by then! 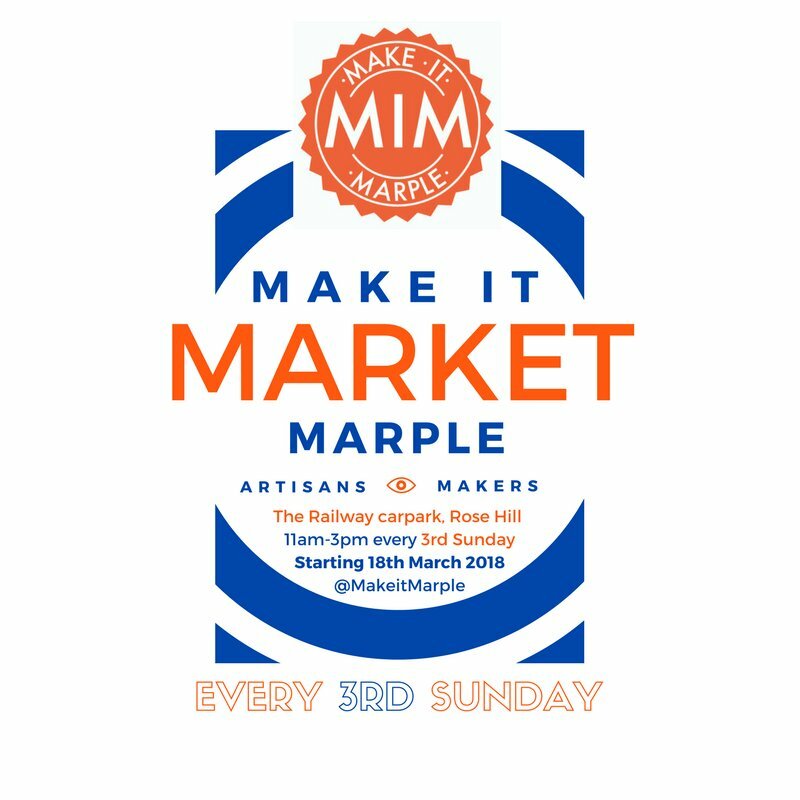 A new makers market to showcase Marple's "most marvellous makers and artisans" is beginning in March. Third Sunday of every month starting March 18th in the Railway Pub Car Park from 11am to 3pm.